After spending four beautiful days in Marmaris and the surrounding area, I checked out of my hotel in central Marmaris on the morning of the fifth day early enough after breakfast, to be able to arrive in Bodrum in the early afternoon. So I headed for the main Marmaris Bus Station and took the Bodrum minibus here. The journey takes about two and a half hours, so do not be misled by how these towns look much closer than that. Muğla Province is very mountainous and that is partly why the landscapes and the sceneries are so spectacular. So it is very hard for you to get bored during a two and a half hour drive. And at certain points, the beauty of the landscapes become really overwhelming. It feels like the locals on the bus are used to seeing this all the time, they don’t even turn their heads to look at the view. I’m a bit different, I will turn and look at the amazing view on Bosphorus each time I am crossing from Asia to Europe in Istanbul. The bus drive to Bodrum is via Muğla City, Yatagan, and Milas where the Bodrum-Milas Airport is located. There is also a second option for those that enjoy taking ferries is to go by ferry from Datça. So you’ll drive or take the bus to Datça from Marmaris, and catch the ferry from there. But the ferry times are a bit tricky outside the high summer season. Between the beginning of June till the end of October, they will depart both ways- from both Bodrum and Datça (pronounced Datcia) twice a day- once in the morning and once in the late afternoon. And between November 1 and the end of May, these ferries run three times a week and that is once a day. The first thing I noticed when we passed Milas Airport in the bus towards Bodrum was the change of the vibe. For me, it felt like a different place straight away, somewhat more Western and more fun. Bodrum Airport is not far from the center of Bodrum, whereas Dalaman Airport that you need to fly to and from for Marmaris takes an hour and a half. Bodrum is more open and flat than Marmaris. It is still hilly in general but no high mountains here and seems to be more open to winds overall. As compared to the humidity of Marmaris, Fethiye, and Antalya you will get dry heat. 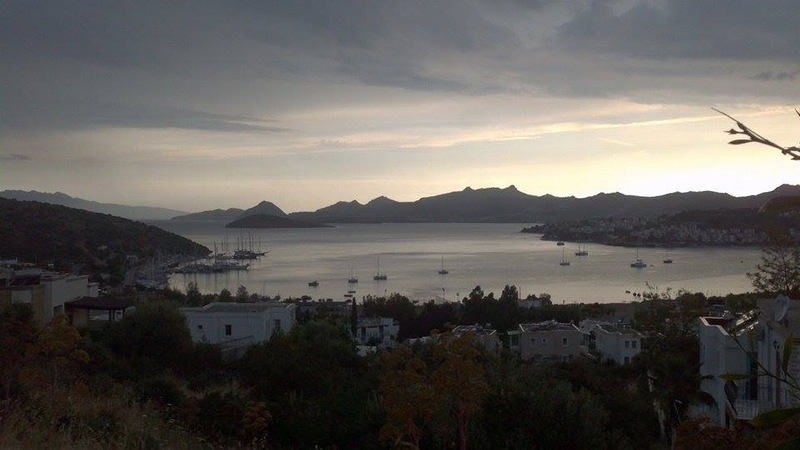 But Bodrum is a very large peninsula made up of small villages and districts and there will be climate differences between the north, west, and south. The northern districts of the peninsula like Guvercinlik, Torba, and Göltürkbükü are almost as lush as Marmaris area. You’ll find that the northern coasts of İstanbul and Bursa are often much more natural and green due to the amount of rainfall they get. I quite liked what I saw during the drive, both the landscapes and the vibe. Another thing you will notice when you’re driving into Bodrum is the large luxury resorts that are built for the high-income customers. You’ll find hotels that cost hundreds and even thousands of dollars a night for a standard room here. 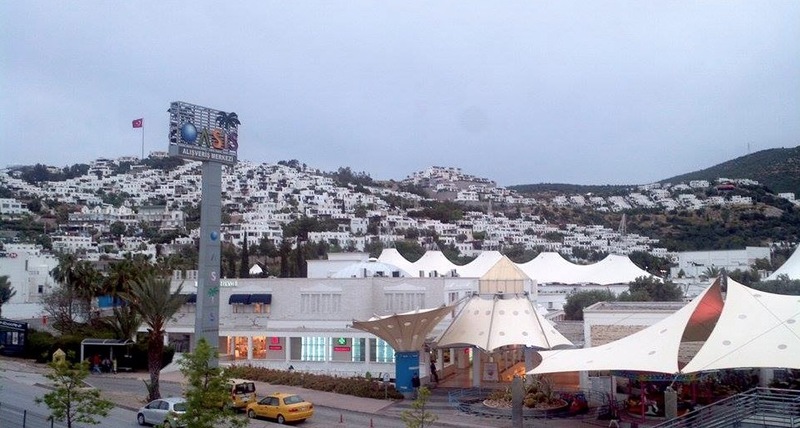 Jumeirah Bodrum is one of them and probably the most expensive of the peninsula but it is now part of the Paramount Resorts after the Dubai-based Jumeirah got out of Bodrum. They still have the Jumeirah Pera Palace in Istanbul. 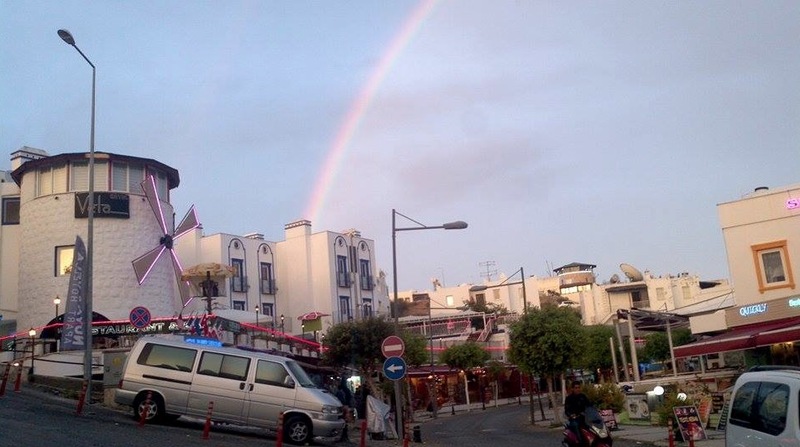 Before things got messy for Turkish tourism over the last couple of years, due to terrorist attacks and that coup attempt in July 2016, Bodrum was getting popular by the global jet set as well. But because Bodrum (along with Çeşme and Alacati) is more for the high-heeled Turks, more so than other resorts, I’m not quite sure if Bodrum wouldn’t have the same crowds of the previous years. It is still a happening and popular place despite the complaints by the shop and hotel owners here. You’ll often find that the paparazzi shows on Turkish TV will show the celebrities and the rich holidaying in Bodrum and Cesme. People come here to be seen! It is all white in Bodrum Peninsula, and you start seeing this straight after the airport. But there are just so many white buildings and they are building even more. If you see steam (bush fire) coming out of any Bodrum hill, it may well be an intentional fire by property developers, to build luxury residences. And this I find really unbelievable and I’m not sure where else in the world would something like this be allowed other than Turkey. This doesn’t have much to do with how rich or poor a country is either. This wouldn’t be allowed even in lower income countries like Georgia or Armenia. Then we arrived at the bus terminal and it felt quite busy with both people and buses. 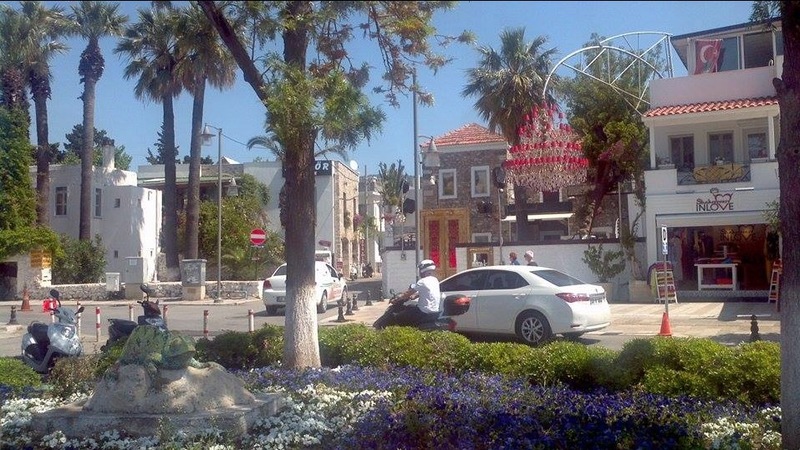 It was interesting how busy Bodrum was even outside the peak season. You can imagine what it’s like in summer. I heard the car traffic is no different to that of Istanbul. When you get from a green resort like Marmaris to Bodrum, it first feels like coming from a tropical or subtropical paradise to somewhere like Tunisia or Mykonos in Greece. 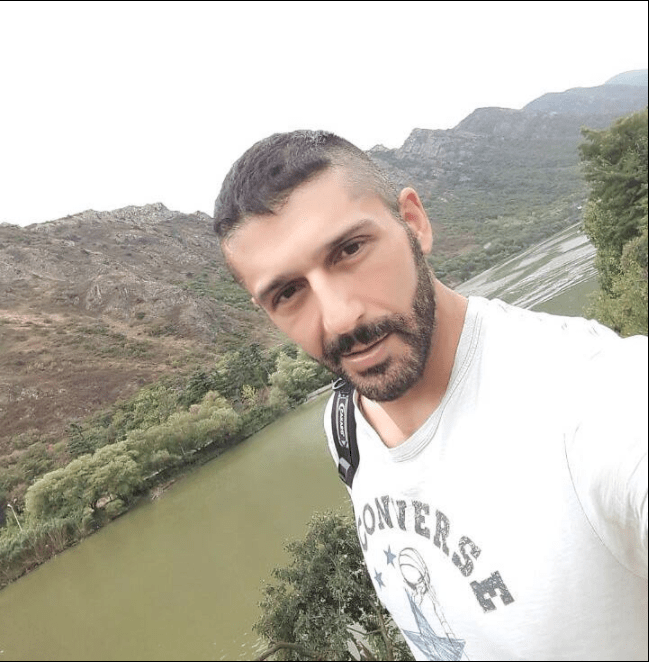 I had luggage so I got out of the bus terminal and headed for my hotel in Gumbet where I had a booking for three nights, without checking out the center of Bodrum. There are many beautiful narrow streets with two-level white houses. But it somehow didn’t feel as clean as Marmaris. And even though the tourist season was near, I could see quite a bit of roadwork. This is the number one tourist destination in Turkey. I mean it would easily compete with Antalya for the first spot and would beat it in terms of its higher image. But it didn’t feel as clean as Antalya, Marmaris or Fethiye at first (It looked different later on). I checked into the four-star Club Shark Hotel, and I had to wait for a little before my room was ready. But I was told I could have lunch in the restaurant even though the first day’s lunch wasn’t included in the package. So I went down to the restaurant and had a bite to eat. The hotel has a simple but a modern design, is made up of two x three-level white buildings and seemed quite nice and well-maintained. Club Shark is not a very large hotel but has a good size pool and a small fitness center for those that would like to work out when on holidays. This is an all-inclusive resort and was a good idea for me too, with all the buffet meals for breakfast, lunch, and dinner. 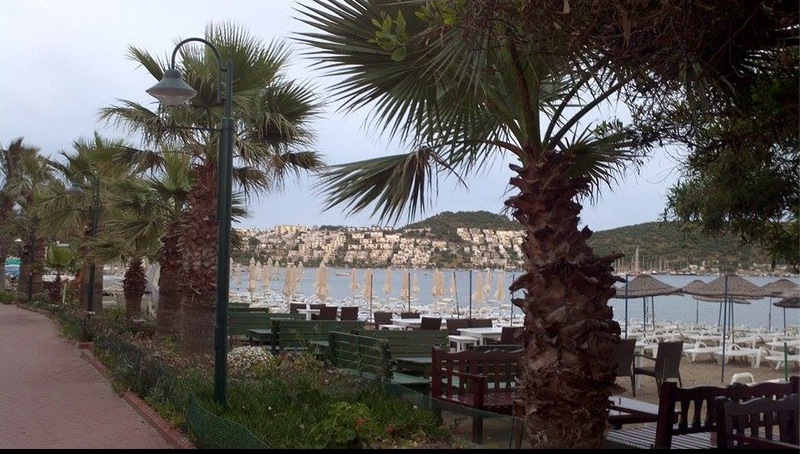 It has a rather central location, close to the bars, clubs, and shops of Gumbet and has a private section down on Gumbet Beach. After a while, I got into my room and it was all newly decorated, everything was clean, new and modern. After an hour’s of rest, I went out for a bit of a walk towards Gumbet and Bitez. It was much quieter around here than central Bodrum, partly because of the season. I can imagine Gümbet being rather crowded at night, especially with the sound of the clubs. Another thing that was different to Marmaris was the clarity of the water in Gümbet. 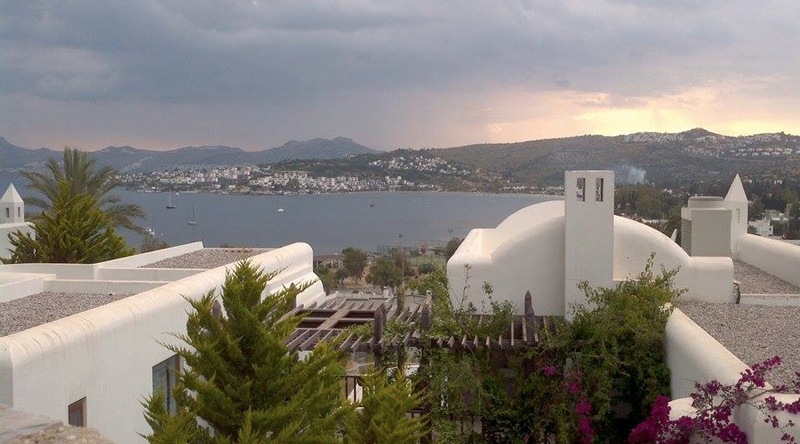 Property prices are quite expensive in Bodrum as compared to other towns and cities. It is one of the most expensive places, along with Çeşme and Istanbul. And to rent here for summer and winter or to buy is no different to central Istanbul prices. Even the villages inland are no longer ordinary villages, as they are also sold at premium prices. But I am talking Turkish prices here and it would still be quite affordable for someone from UK or France. It looks like there is not much of a cheap place left here. 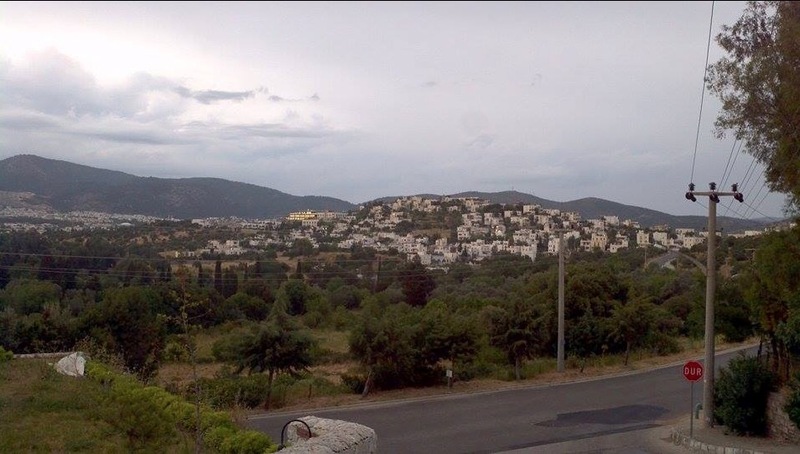 When you search on Turkish real estate websites, the cheapest areas are around Güvercinlik and Mumcular– this new inland district of Bodrum and they are both towards the airport and far from the city. I haven’t had the chance to check out Mumcular but it looks more like a place for locals and has forests in the background and Karaova valley at the front. 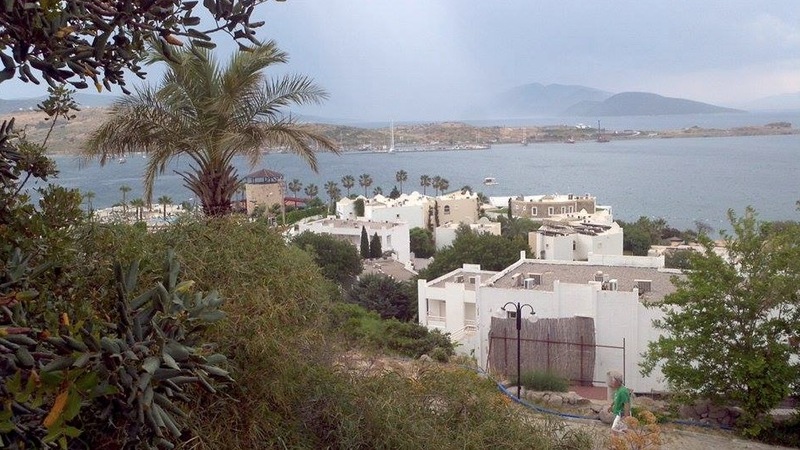 And a great percentage of the flats or houses you will find in Bodrum Peninsula are in large residential complexes and they tend to have relatively high building management fees. 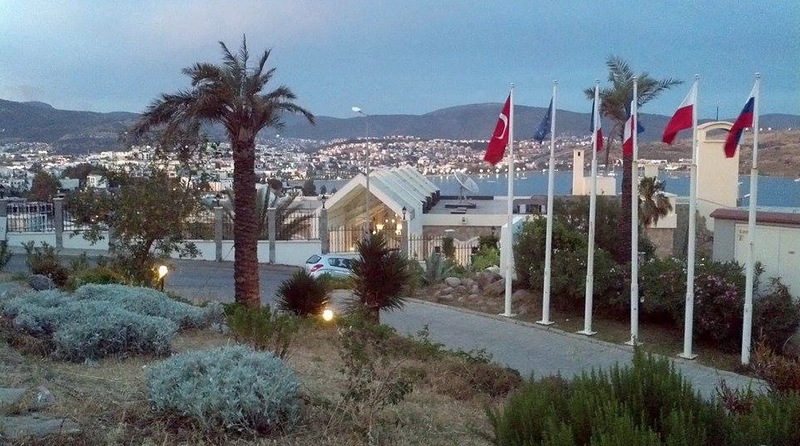 I was going to stay at the hotel in Bodrum for three nights with all the meals and local drinks included. I do not normally fancy the all-inclusive concept much, to be honest. I’d rather have a large breakfast in the morning and a nice dinner, without a lunch in between, so that I can enjoy the meals better. And this way even when you try not to eat much, it is a bit hard not to. I booked it anyway as the price for one person on Alpharooms.com was very good. As I talked about it before, I often travel solo and booking a hotel room on your own costs more than traveling with someone but I prefer it this way anyway, as I like doing my own thing without asking anyone. But for this booking, it was exactly the half of the price for what it would be for two in a double room, even though I was occupying a double room. 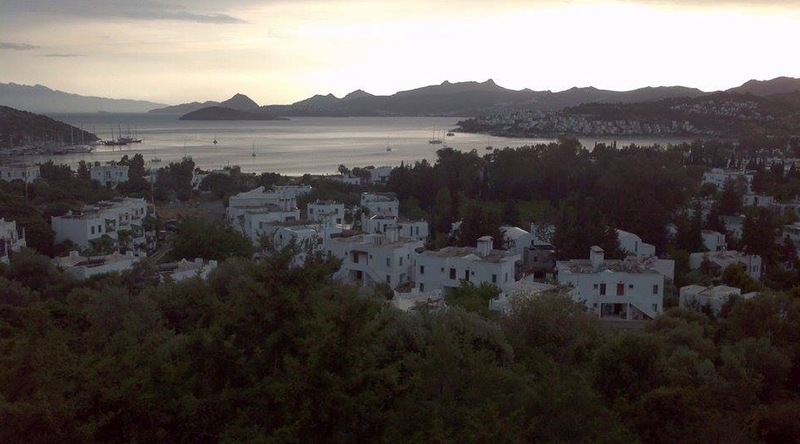 I stayed in Gumbet and Bitez areas on my first day in Bodrum and discovered the neighborhoods and bays mostly on foot. I really enjoyed the beautiful views over the bays and hills and took some photos. 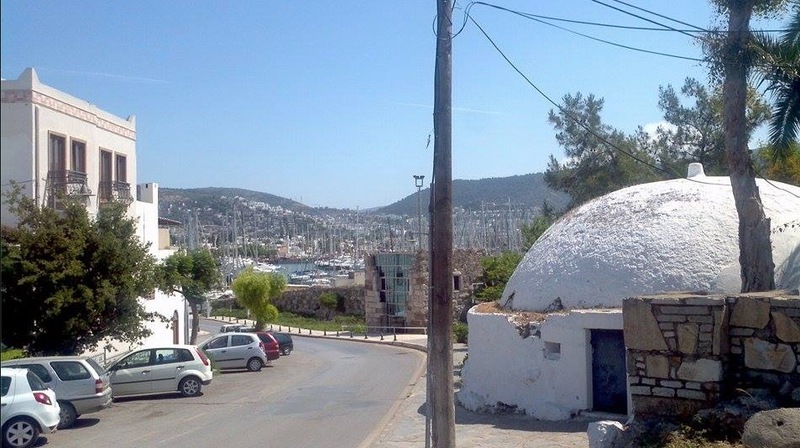 Can You Live in Bodrum throughout the Year? When I travel to a new destination, I often look at it as “can I actually live there full-time, summer and winter?”. And if you ask my general impression of Bodrum area, I like it more than Marmaris, even though it is not as green and natural as Marmaris. There is a bit more of that more European and kind of a Greek island feel here. A lot more people live here during winter and residents often say winter in Bodrum is much nicer than summer, without the crazy crowds. They have a few private and public hospitals, shopping malls and a lot more shops are open outside summer. It felt like a proper city with all the facilities, not just another resort and has its own architectural style, as basic as its white houses may look. And I got a feeling I could actually live here full-time at the end of my three-day stay. I did not really reach the same conclusion for Marmaris: 1. It didn’t have the same vibe despite its natural beauty and 2. It would probably be too dead in winter and autumn. But I also think those that are considering settling in Bodrum, like for any place, should do a thorough research. And they should check out its winter at least three times. It is not going to feel as romantic as it may on your holidays, and you may be disappointed. Living costs are rather high by Turkish standards- with consumer prices and rents close to Istanbul. But the job opportunities are nowhere near Istanbul, like with any tourist destination jobs are hard to come by here and the pay is lower. Unless you’re retired or working online or are able to manage your business from a distance, you may have a hard time with work in Bodrum. And if you’d rather live in a happening place all year round, this is never going to be like being in a big city. Even the people I know in Antalya, which is a city of 1.25 million people in the center, say it feels quiet outside the tourist season. You need to weigh your pros and cons well, especially if you are intending to purchase a property. It is best that you rent first and get a better feel of the place. I went to a friend’s place in Bitez and they had this magnificent view over the Bitez Bay. They used to live in Istanbul and much prefer it here, also being from Bodrum. There are a lot of trees in Bitez area, especially the mandarin gardens are quite beautiful. It has an elite feel as a neighborhood, is close to the center and has a beautiful beach. The sea is very clear and clean and the landscapes are wonderful along with the coast and inland. It has a more natural feel than Bodrum center and Gumbet where my hotel was. I walked back to my hotel following the road along the coast. There were many large hotels and some were preparing for the summer season, with construction and maintenance etc. After dinner, we went out for a bit and there were a lot of Turks and foreigners, unlike during the day. And we could hear the sounds of music from different bars and clubs. The vibe and the ambiance of Bodrum are quite nice. It feels like a rather happening place, and for other reasons, I can’t quite describe it appealed to me more than other resorts. I wasn’t going to go on boat tours or discover the other towns like I did during my stay in Marmaris. 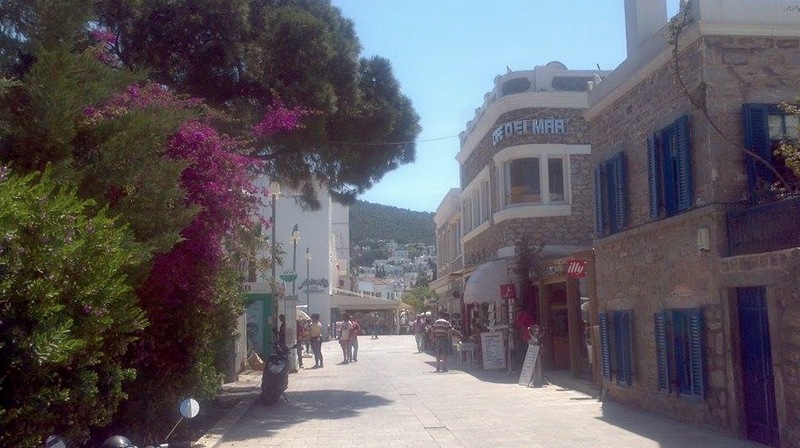 But I was going to see more of the Bodrum Centre around the castle and the shops, relax on the beach and swim and visit a couple of small towns in the peninsula. What’s Uskudar- the Asian Side of Istanbul Like?